It was an absolute pleasure and a great insight to work with the talented and insirational Patrick McMaster. 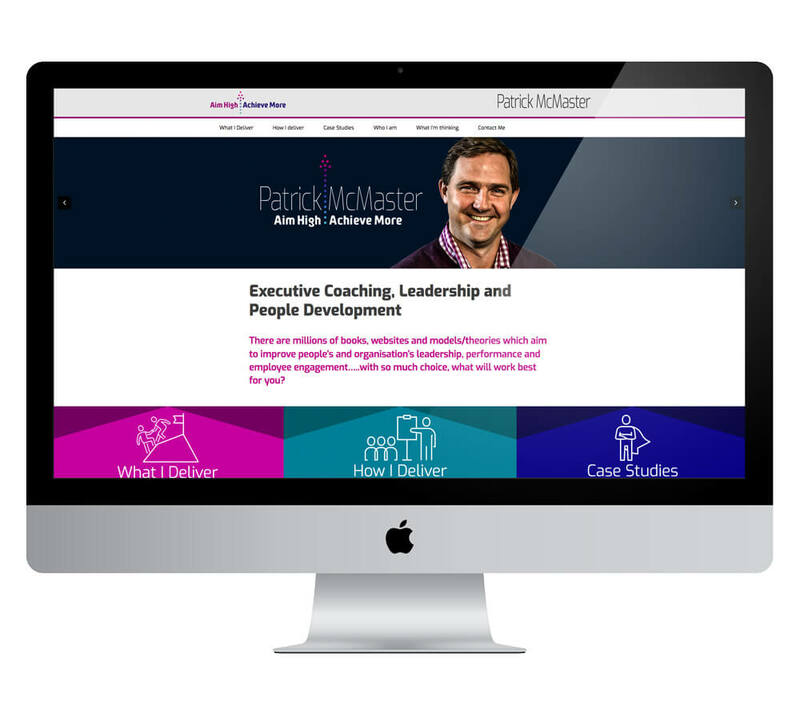 During the build of the website we worked on the logo and brand design, encorporating photography and icons to convey Patrick’s skills and services. 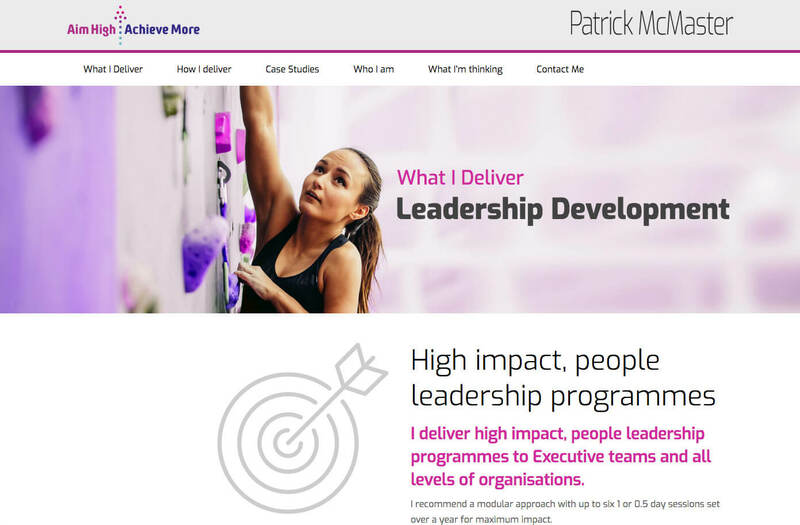 You can read more about how Patrick’s has led Executive Coaching, Leadership and People Development and Recruitment across Europe, Asia and the UK by visiting his new website aimhighachievemore.co.uk.